So LOST took a week off and so did I, but its back this week and I can’t wait. I’m ready for some more Dharma action, but until then here’s what I noticed while rewatching LaFleur. Its taken a while but we’ve finally got a second look at the statue, this time though it was a whole statue not just a solitary foot. So what is it a statue of? I’ve seen a couple of theories around the place that it could be Anubis or something similar, and then there are the theories that its a statue of Sawyer…yeah, maybe not. But when is the statue? It was still in its complete state some time (way) before the well was constructed, but since they didn’t stay in that time for very long we’ll just have to wait and see. I just hope that the brief glimpse isn’t the writers was of resolving the statue questions. As I think most people were expecting the time jumps did indeed stop when Locke turned the donkey wheel. After the time jump that happens when he’s half way down the well it would appear they’ve gone a fair way back in time (because the (whole) statue is there and the well hasn’t even been built yet, this means that when Locke eventually turned the wheel and ended up in 2007 he traveled a long way forward as well - 30 odd years further than the Sawyer, Juliet and co. I loved this, “3 years later” and we end up about 30 years prior to where we probably expected to be, deep in Dharma territory. How long they are there for remains to be seen, but given the time jumps have stopped it looks like (as Dan said) they are stuck there. “The record has stopped skipping but we’re not on the track we want to be on”. It’s con-man extraordinaire James ‘Sawyer’ Ford that’s who. Somehow he’s ended up as head of security just three years after wandering into Dharmaville, will be interesting to see how that came about since at the moment Horrace has given them two week before he’s going to send them on their way. Another good episode, initially I was a little disappointed that Locke off-island time was going to be squeezed into one episode, but I think it worked. He wasn’t off the island for very long, only a month or two, and all he really did was visit those who’d left to try and convince them to return, more important is that they’re all back now (except Desmond, who I really hope we see again soon), and the mystery of the island can pick up where it left off. So, the plane did crash. 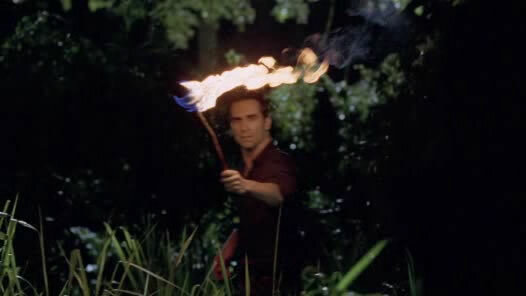 When we found out that Jack, Hurley and Kate were back on the island it raised the question about what happened to the plane. Well, it looks like Lapidus crash landed on Hydra Island. Now, where are Sun and Sayid are the on the main island with Jack, Hurley and Kate or on the Hydra with Lock, Ben and the rest of Ajira 316? And it looks like he really is alive, not just magical-reanimated-by-smokey-alive. 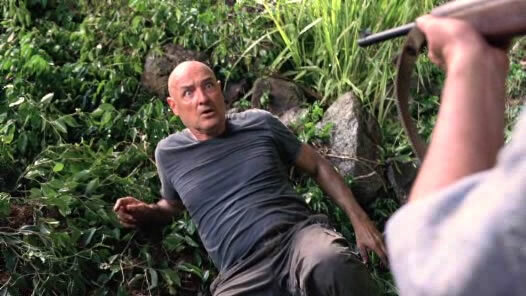 I’m quite glad Locke is no longer dead (Ben probably won’t be), and since he appears to be really alive after crashing onto the island does that mean that Christian Shephard might also be really alive too and not just a creation of the island as we all thought? Locke ‘landed’ in Tunisia but three years into the future - more or less. I was kind of hoping that he would ‘appear’ somewhere else just to mix things up even more, but it makes sense that the island would have one main exit point (Tunisia). We find out that he’s traveled three years into the future, but, remember that as Locke was going down the well towards the donkey wheel that there was a time flash and the well actually vanished. I took this to mean that he’d traveled further back in time (they were pre-Orchid station before the flash), but think about it now it possible that they’d moved forward in time. 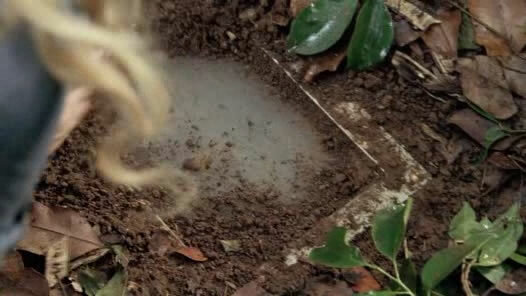 It would be possible for a well that existed in the 1970s/80s to no longer exist in the 2000s, right? How long had Widmore been monitoring the exit point? We can assume that he didn’t start monitoring it until after October 2005 (when Ben appeared in Tunisia) otherwise he would have already known Ben was off the island. I wonder why he started monitoring it to begin with? And remember the polar bear that Charlotte found in Tunisia, it may have come through the ‘exit’ as well, but I’m pretty sure it wouldn’t have turned the donkey wheel to do so. I really enjoyed this episode for a number of reasons, but most importantly it marked the return to the island. Now, I thought the beginning was great, it felt like the kind of reveal that would have in the past been either the beginning of season of the very end of a season, but this was only the 6th episode. That the other thing, they spent four seasons trying to get of the island and after only 6 episode off the island (not counting that they were off the island in the flashbacks in season 4) they’re back. I wasn’t really expecting them to move things that quickly. I read several posts after 316 aired with people complaining that the reveal at the beginning of the episode spoiled the rest of it, I disagree, I think it made it better because we knew it was going to happen we just weren’t sure how. And to be perfectly honest we still aren’t too sure. Ben may or may not have know about it, depends on if he was lying or not, but Widmore mustn’t know about it or he would have already found the island long ago. Who was/is the clever fellow who built the pendulum? And also how long has it been there? Ms Hawking says that it was how Dharma found the island, but how long was there between them finding it and actually get there? One suggestion I’ve heard was that perhaps it was Dan who was responsible for the pendulum, not sure about that theory myself, it goes against the “you can’t change the future” idea a bit too much. Pierre Chang maybe? He seemed to know plenty about the mysterious energy lurking beneath the orchid station, so it could be the sort of thing he’s be involved in building. Why doesn’t hawking react when Des says that it was Dan who sent him? One theory is that it was just poor acting, to go with the terrible overacting, making Hawking appear psychotic instead of mysterious. The other possibility is that she already knew that Dan had sent him, how I’m not totally sure, but it could be possible. Did he really though? Or did he get some help? Maybe he did do it just because Alpert told him he’d have to die in order to convince them to return. Another great episode, lots of interesting things to talk about. Smokey, death and donkey wheels, oh my. Is that Hurley saying the numbers? I saw this mentioned on another site, and checked it out for myself, have a close listen to the voice on the French people’s radio, is that Hurley? And if it is, is it deliberate or just the only soundbite of the numbers they had lying around? Maybe it was Hurley who recorded the numbers originally as a warning to sty away from the island? We still have no real idea what smokey is, but it sure does like catching, killing and re-animating people. After disposing of one of the French women, it grabs one of the men and drags it through the jungle and down into a hole at the Temple. Is this where smokey live? 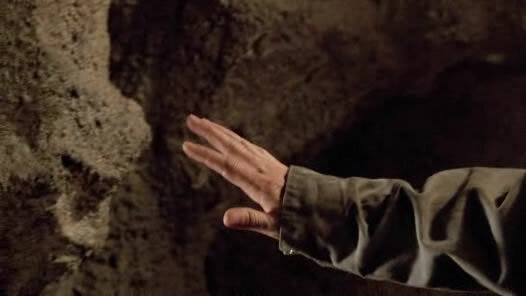 How it the temple connected to the secret room under Ben’s house back in otherville, remember the one he disappeared into just before he ‘summoned’ smokey to come and attack Keamy’s men. Interesting, she seemed certain to follow the rest of her people down the hole until Jin stopped her, what would she have done if Jin has flashed back in time to stop her? Assuming that wasn’t already the reason why she didn’t go down there, if that makes sense. Rousseau isn’t nuts, they were actually trying to kill her, why? She referred the them as ‘sick’, but they were probably being re-animated by smokey, but why were they/smokey trying to kill her. And if it wanted her dead, how come 16 years later it still hadn’t killed her? Smokey is a security system? It’s not the first time we’ve heard someone refer to smokey as a security system, this time it was Robert (who’d gone down the hole looking for the other guy), he tells Rousseau that ‘its a security system guarding the temple’. Two things, we now kind of know what the ‘temple’ is that Ben sent the rest of the others too way back when (season 3? ), and secondly how would Robert know this unless he was actually smokey in disguise, I pretty sure he didn’t sit down with smokey and discuss things over coffee. 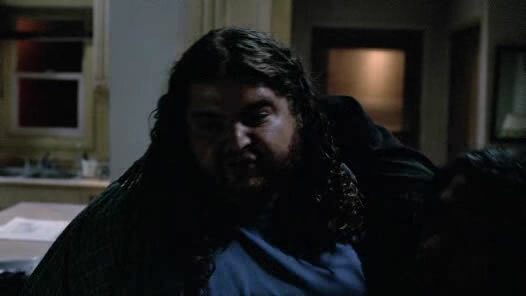 Who was the guy who attacked Sayid, and why did he have Kate’s address? 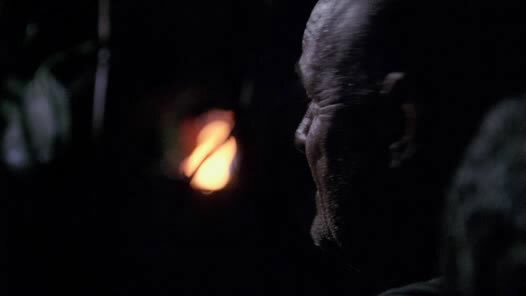 There is probably a good chance he was working for Ben, and was connect to the two guys that Sayid and Hurley encountered at the safe house. He was probably going after them this way because he knew he would have a hard time convincing them to go back otherwise. Kate’s address was probably in his pocket because she was next on the list. Miles becomes the next to begin suffering nosebleeds (and we’ve seen how great that turns out for the others), and at the end of the episode Juliet is getting nosebleeds as well. After Miles tells Dan about his nosebleed Dan explains that they may have something to do with the time of exposure/time spent on the island, Miles says he’s never been to the island before two weeks ago… Dan replies are you sure about that. The popular theory is that Miles is Pierre Chang’s son, if this is the case, when did Miles leave the island, how, and why doesn’t he know about it. When the Island 6 (now that Locke has joined up with them all) turn up back at the beach camp after their latest time flash, they find their camp is back but… all the food appears to have been eaten, everyone else is gone and there are two random boats on the beach. Inside one of these boats there is a bottle of water with an “Ajira Airways” label on it, Juliet explains that its an Indian airline that flys all over the world. My theory is that the time they’ve jumped to some point after the Oceanic Six return, and the boats are the boats they used to get to the island. This would possibly explain why the food is all gone, and there is no one on the beach., but it doesn’t really explain who is shooting at them from the the second boat… unless they they are shooting at themselves. So I’m writing this after I’ve watched episode 3, who cares, some of these are answered by episode 3 but I won’t give them away. I do intend to do my best to stay ahead of the next episode if possible, this week I had two episodes to cover. And I’m lazy. 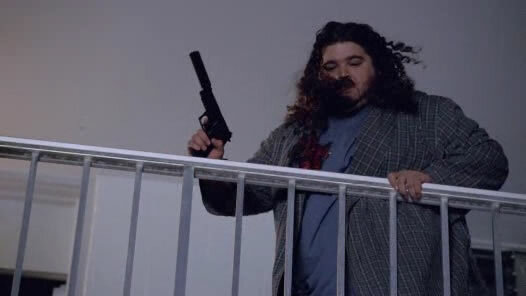 Why does Hurley keep seeing dead people? We’ve seen Kate see Claire, and Jack has been seeing his dead Father ever since they crashed, but Hurley seems to see a lot more dead people than everyone else. Makes you wonder, is he really seeing them or is he really nuts. 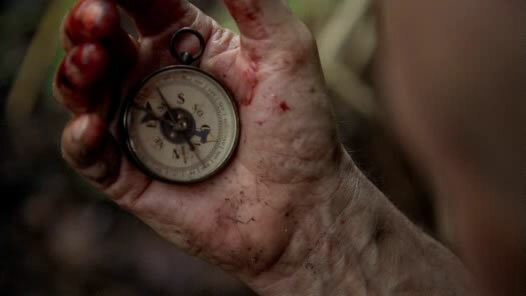 What is Dan’s little gadget that he’s going to use to determine where they are in time? For those that watch ‘Terminator: The Sarah Connor Chronicle’ it looks like that device that one of the terminators used early this season to looks at the stars and determine what year it was. So I guess its probably something like that, he is a scientist after all. Can we read much into this, or is it just Ben being Ben and withholding information from Jack on purpose. Locke probably is “dead” it might be a question of how dead he is though, and is he going to spring back to life when/if they get him back to the island. After all Alpert told him he’d have to die to convince them to return, he never said he had to stay dead. Why is Sun in LA? She tells Kate that she has “business to attend to”. What kind of business? We know she wants to kill Ben, and Ben is going to need to ‘recruit’ her in order to get her back to the island. There is going to have to be a confrontation of some sort in the near future. Who is the butcher that Ben visits? Ok probably not Dharma, since I doubt they’d work with Ben after he wiped them off the face of the island. One of the Others perhaps, completely reasonable that he’s got people placed off the island just in case. How does she know what Ben has got with him (Locke), since she also knows he was going to get Jack and the other I’d say that Ben had already met up with her and brought her up to speed with his plan. Now he just needs to share that plan with us. Let the games begin. 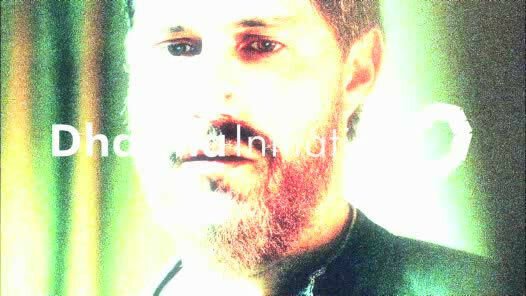 Lost is back and as good as ever, as could be expected the overall theme for Season 5 looks like it will be quiet different to the previous four (Season 1 - The Losties, Season 2 - The Tail Section, Season 3 - The Others and Season 4 - The Freighters). I’ve decided to take a different approach to my recap posts this year, since the ‘full’ recaps I was doing for a while last year take too long (and lets face it, probably weren’t overly interesting either). So, like I started last week with the post for “There’s no place like home”, lets have a look at some of the questions that struck me while watching the season premiere. Is the identity of Chang’s baby significant? We got to see Pierre Chang for the first time outside of a Dharma video, and it was a great way to kick things off. But is the identity of his son important, remember he was also mentioned in the ‘leaked’ video from Comic-Con. Given that this takes place around 30 years ago could it be Miles? This was suggested by someone in the comment of a previous post, interesting, and could explain a few things, but I’m not convinced. Yet. What is Dan doing hanging around in the Orchid Station with Pierre Chang and the Dharma workers? We know the island is jumping around, but is it going to stay in one particular time long enough for Dan to infiltrate the Dharma ranks? So far the jumps have been fairly frequent, maybe things will settle down. Or maybe he actually was there in the 1970’s… think about it, he tell Sawyer how he’s spent his whole life researching time travel and Dharma. Now lets say, for example, Dan was born in 1970, he wouldn’t have been even starting University until the very late 1980’s, early 1990’s at the latest, by which time Dharma (at least on the island) wasn’t too far from being wiped out by Ben. How much research can you do on something that no longer exists, on an island no-one can find, unless you’ve been there and seen it first hand? Why do the Losties move but the Others/Hostiles don’t? Who are the lawyers that visit Kate representing? Only two real obvious possibilities, Charles Widmore or Oceanic Airlines. Perhaps that should be Widmore and/or Oceanic, I think there is a strong chance that Widmore is connected in someway to Oceanic, evidence perhaps was how it would seem that Oceanic staff promptly contacted him when they realised Sun was checking in for an Oceanic flight.